Since I’ve got book club tonight, how about talking about two of the books I’ve read recently. 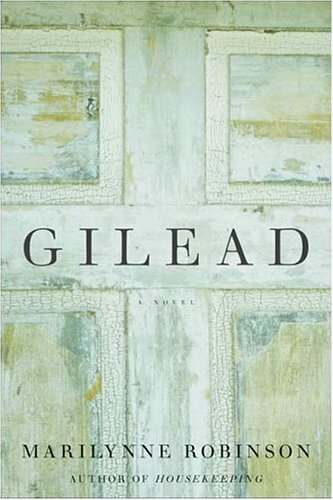 Gilead by Marilynne Robinson won the 2005 Pulitzer Prize. Not sure why because I couldn’t finish the book out of sheer boredom. Rarely do I not finish a book. I guess only in rare instances and a Pulitzer Prize winner at that! Has anyone read this sleeper of a novel? It’s narrated in the form of a journal from a dying preacher to his son. The preacher talks about his ancestry, his childhood, his neighbors. There is no rhyme or reason to his very random thoughts. I had to force myself to keep reading and I only got half-way through. Hated it. 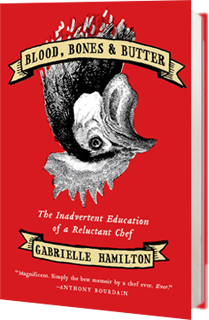 Our book club book was Blood, Bones, and Butter, a memoir by Gabrielle Hamilton, the owner and chef of the famed Prune restaurant in NYC. This is good writing! Anthony Bourdain praised, “Simply the best memoir by a chef ever. EVER. Gabrielle Hamilton packs more heart, soul, and pure power into one beautifully crafted page than I’ve accomplished in my entire writing career….I am choked with envy.” Not only does Hamilton have a fascinating background and history which makes for good writing, she has clearly processed her experiences with aha moments for each phase of her life. Most memoirists never peel back enough layers to figure their lives out. I read this book and felt like this was a woman who really knows herself. Read it!